Technology has come a long way over the last few decades. Screeching computer modems have come and gone, fax machines collect dust in storage closets and kids today don’t know what a Walkman is. But surely, everyone still remembers photocopiers, right? You know, that clunky office machine that takes one piece of paper and then makes an exact replica of the contents of that page onto a second piece of paper? In 2010, Cuyahoga County, Ohio was sued for its practice of charging $2 per page for “photocopying a document,” even when said public documents were handed over in digital form on CD. Creating each CD cost the county 31 cents, but it was charging the people who requested them an average of $5,000 each. SPOILER ALERT (watch the video first! ): The attorney who took the deposition in the case, David Marburger commented on the New York Times article saying, "The video is hard to watch b/c it is so unlike that actual atmosphere, which the transcript can't convey. I wasn't angry; I was amused. 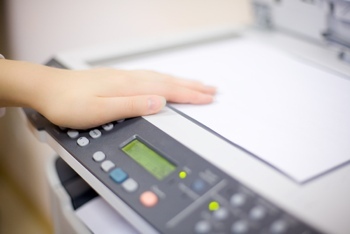 I just sat back in my chair and threw out questions to see how far the witness would go with what I viewed as a charade....to see how far the witness would go in disclaiming knowledge of photocopying in an office setting. The idea was to use the witness' own testimony to make him look disingenuous." So while the video is based, verbatim, on the transcript, the tone is not accurate. But it still is quite entertaining. If this wasn’t from an actual transcript it would not be believed!! !